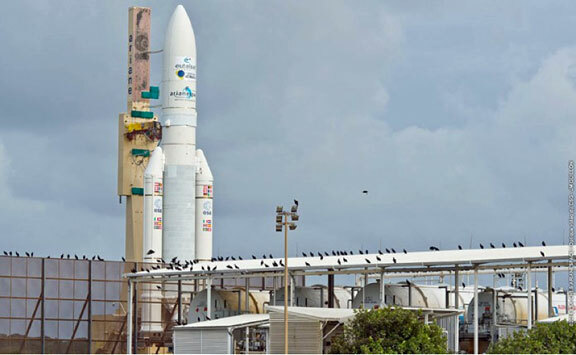 [Satnews] Arianespace has delivered another Ariane 5 to the launch zone at Europe's Spaceport in French Guiana, positioning this workhorse vehicle for its March 9 early morning mission with the EUTELSAT 65 West A relay satellite. Riding atop a mobile launch table, Ariane 5 is shown during its transfer from the Spaceport’s Final Assembly Building – where this heavy-lift vehicle received its EUTELSAT 65 West A payload – to the ELA-3 launch zone. The launcher rolled out today from the Spaceport's Final Assembly Building to the ELA-3 launch zone at this near-equatorial facility, where Ariane 5 is scheduled for liftoff during a three-hour window that opens Wednesday at 2:20 a.m. local time in French Guiana. Ariane 5's transfer followed the successful launch readiness review that validated the "go" status of the heavy-lift vehicle and its single payload, along with the Spaceport's infrastructure and the network of tracking stations that will follow the flight. The upcoming flight on March 9 is designated VA229 in Arianespace's numbering system, signifying the 229th mission of an Ariane-series vehicle to date. Its total payload lift performance is estimated at 6,707 kg., with EUTELSAT 65 West A, which was built by SSL for Paris-based operator Eutelsat Communications, and has a liftoff mass of 6,564 kg being deployed to geostationary transfer orbit during a rapid flight sequence of 27 minutes. After its release by Ariane 5, EUTELSAT 65 West A will be maneuvered to an orbital slot of 65 degrees West, where it is to serve expanding markets in Brazil and across Latin America. 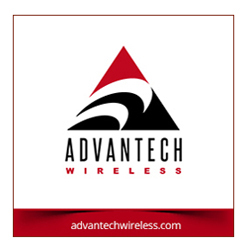 The spacecraft combines broad coverage in C- and Ku-bands for video distribution, cellular backhaul and direct-to-home broadcasting with a high throughput payload for broadband access in the Ka-band. As the second Ariane 5 flight so far in 2016, this week's launch with EUTELSAT 65 West A will continue a busy year of mission activity for Arianespace's full family of launchers - with a combined total of 12 liftoffs planned using the heavy-lift Ariane 5, medium-lift Soyuz and lightweight Vega.